E’RRBODY knew this was coming right? A dropbar mountain bike with Fox suspension. And, Logan VonBokel just dropped it on NAHBS like a hot mic. It’s a nice bike but nothing revolutionary, per se. Well, the flat-mount brakes keep up with Shimano’s push to that standard. The tapered titanium head tube is nice. I’d like to have seen the geometry charts. 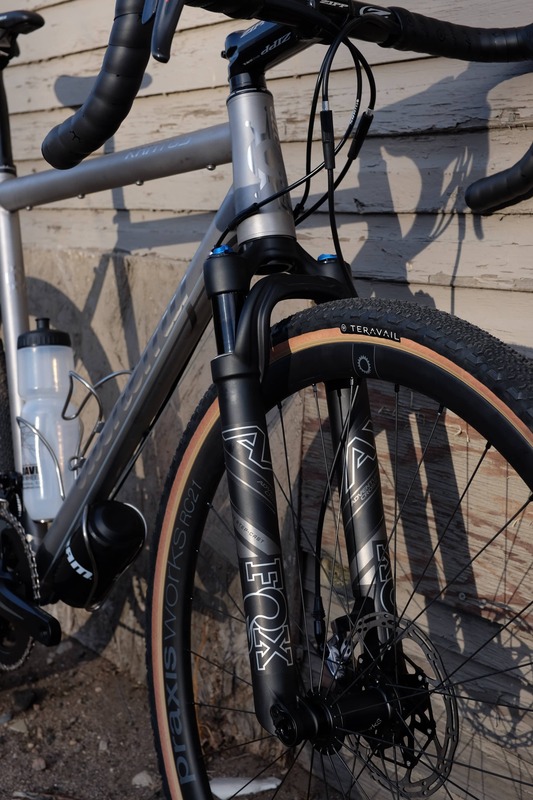 The tyre clearance seems like it might be enough for 650B x50mm but the bottom bracket drop on other Alchemy gravel bikes is perhaps on the low side for 650B. I don’t really care about hot-rodded suspension forks that no one can buy. As far as I can tell Fox didn’t really have anything to do with it. Fox asked Alchemy if they’d have a bike at NAHBS that it could go on, and they didn’t, so I had them make me a bike and now it’s a new model. Stock versions of the Kratos will come with an ENVE CX fork. No word on pricing or if Fox will make a production version. 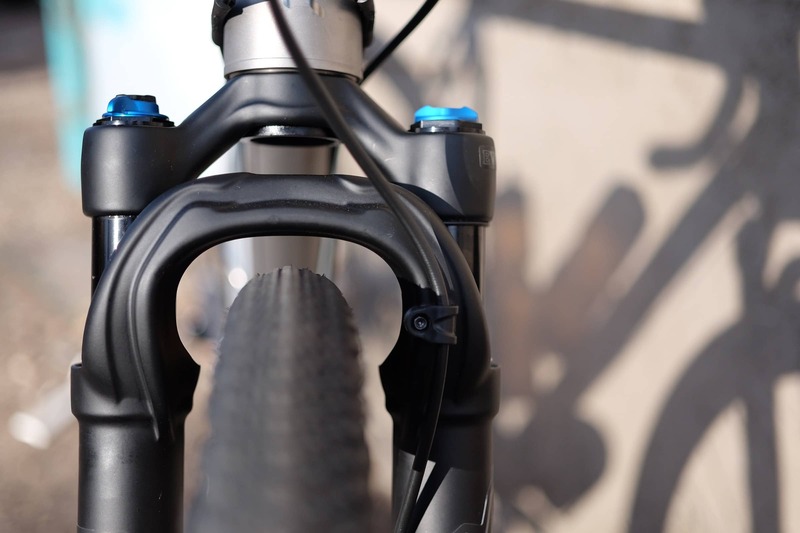 What this does mean is the return of the Dropbar MTB is nearly complete, at least as a mod. 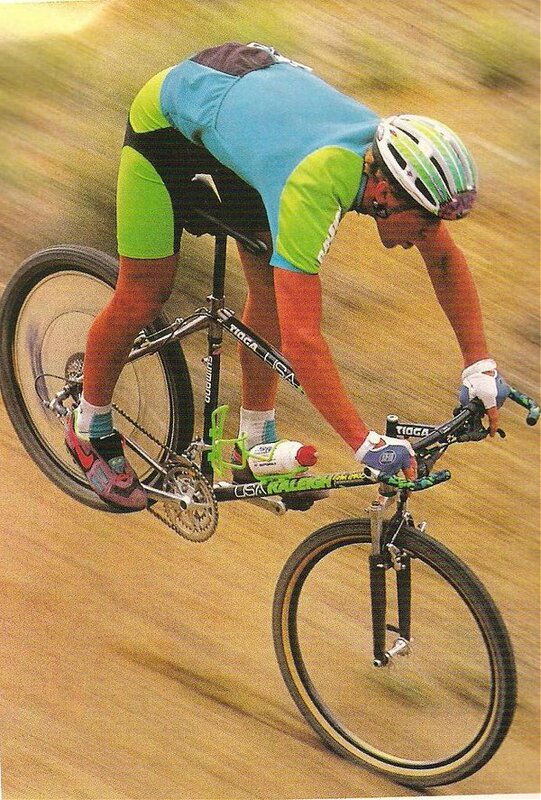 All we need is a Tioga disc, like Tomac. There has to be a stash of those somewhere. The adventure worthy Kratos is Alchemy’s newest platform. It boasts massive 700c tires, bottle cages strategically placed to accommodate half-frame bags and titanium tubing hand-selected for the long haul. Kratos is purpose-built for variable terrain including gravel, brevets and endurance riding. Inspiration for Kratos sprung from Alchemy riders desiring more range and versatility from the Chiron cyclocross platform. Retaining handling and ride characteristics demanded by the Alchemy consumer, Kratos incorporates leading edge geometry ideally suited for big days on the saddle on the road, trail, and remote access routes. Available as a stock-only offering, the Kratos is also available in 14 different colors from Ethic Paint Works.